Uto's Usability Enhancements Only Textures needed. Fixes, merges, tags, provided by me. These files have been uploaded to Nexusmods. Do not upload or redistribute my files to any other website without my express permission. Do not alter my files without my permission. Failing to follow these permissions is fraud and legal actions can and will be taken unless and redistributed files are immediately taken down, and permanently deleted. vasstek helped me learn how to edit textures and meshes. elr0y7 has been helping me consistently in creating patches between my mod, Armorsmith Extended and AWKCR. Valdacil and Gambit77 have been integral in this mods evolution with their AWCKR mod. Yogensya has kindly allowed me to use his mod, Mad Can:Fury Beans. 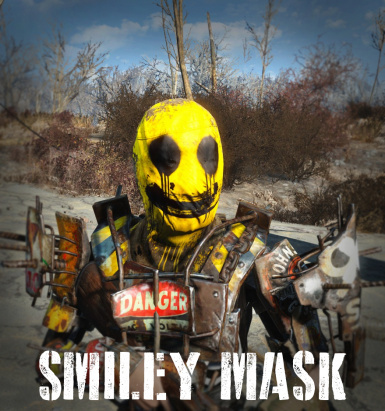 Thanks to KKTheBeast for his help making this mod VIS compatable. Thanks to Elgoes and Henkspamadres for the pipeshotgun. Thanks to mattsahuman and Stefan EngdahlStandalone Pipe Shotgun. added black and red "angry masks"
added custom vault jumpsuit, "tribal jumpsuit"
added custom mesh barrel, "chopper"
- Moved all armor to their respective categories in the AWKCR armorsmith workbench (Raider Outfits, Headgear, Non-Human Armor and Acccessories), ingestibles remain the same. - Added keywords to armor denothing their type. Removed the New NPC's from the tables until the issue can be sorted out. I spent 3 hours with a clean save at level 3, 30, 55 and 75 and could not replicated the reported issues, and only encountered the new Named NPC's 3 times. Better safe than sorry, and thank you for your patience. Several people reported some odd levels on the Newly added NPC's (They have "Nick names", you'll know them when you see them). -Edited the min-level on the NPC's in the case the engine was throwing an error on calculations due to other NPC's on the table having a min-level and the NPC's reported did not. -Added another group of "normal" NPC's to the same table, to increase the randomness. 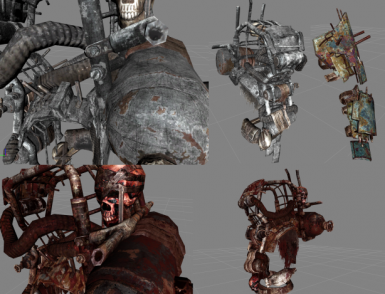 RO WIP 12 Adds DLC Robot / Automatron as a requirement. It's been 6+ months, Steams had several great sales, and it has assets we need going forward. -Fixed an issue with the S.C.R.A.M. Suits glow map preventing light from emitting. -Crowbar Added to Legenary Leveled lists, Rebuilt OMOD table for possible upgrades spawning and updated INR to allow correct naming. -Added Crude Blowback, full intergration for leveled lists in a unique way to reduce conflicts and added immersion. -Added Handmade revolver, full intergration for leveled lists in a unique way to reduce conflicts and added immersion. -Added Concrete Sledgehammer, full intergration for leveled lists in a unique way to reduce conflicts and added immersion. -Added BuzzAxe, full intergration for leveled lists in a unique way to reduce conflicts and added immersion. -Added Murdering Chainsaw, full intergration for leveled lists in a unique way to reduce conflicts and added immersion. 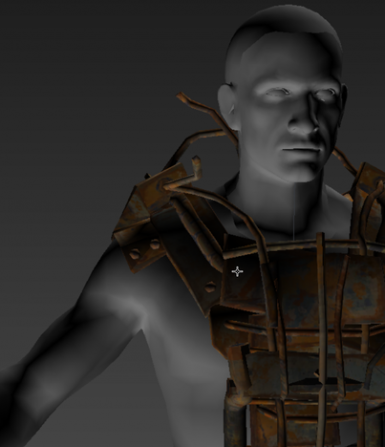 -Rebuilt the Forged armor to base it on the original meshes (Cage, Spike and Wastelander), it will now be bodyslide compatable and will resolve conflicts. 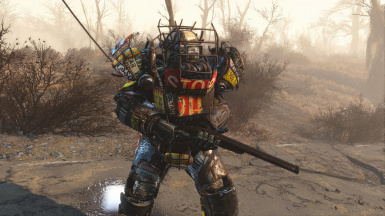 -Rebuilt the ArmorAddon of the S.C.R.A.M Suit to be stand alone to resolve conflicts. -Rebuilt the ArmorAddon of the Tarwalker outfit to be stand alone to resolve conflicts. -Rebuilt the ArmorAddon of the Anti-C Helm to be stand alone to resolve conflicts. -Rebuilt the ArmorAddon of the Scavenger Harness to be stand alone to resolve conflicts. 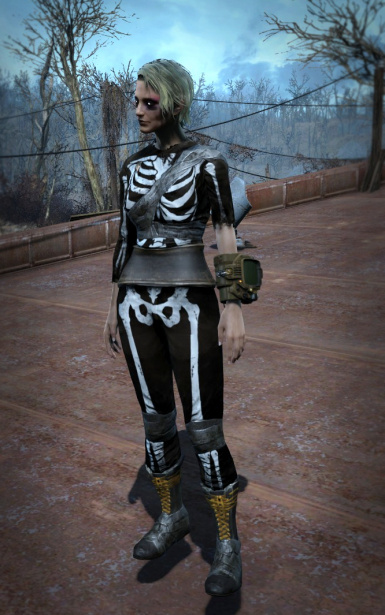 -Rebuilt the ArmorAddon of the Skeleton Costume to be stand alone to resolve conflicts. -Rebuilt the Leveled lists the Melee Weapons include in RO use to reduce conflicts. -Rebuilt the Leveled list "LLI_Armor_Raider01" cleaning some conflicts and streamlining the table. -Rebuilt the Leveled list "LLI_Armor_Raider02b-3" cleaning some conflicts and streamlining the table. -Rebuilt the Leveled list "LL_Armor_Raider_Underwear", Putting a Vanilla and RO list on the table, for upcoming inclusion of DLC Robot. 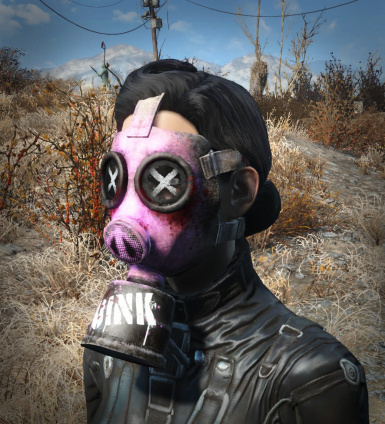 -Rebuilt the "LLS_Armor_Raider_Headpart_Facewear", Removing RO Gasmasks and other gasmasks, putting them on a table of their own, included in this, allowing for better Diverity (and having helms w/ Gasmasks). 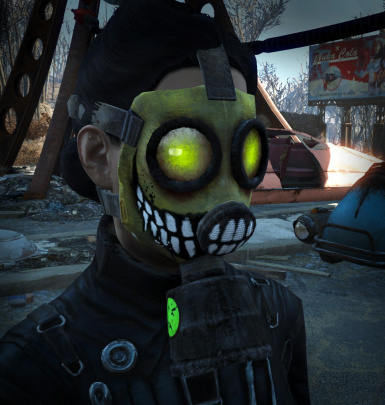 -Rebuilt the "LLS_Armor_Raider_Headpart_Eyewear", Putting the RO Gasmasks, Vanilla Gasmasks and Eyewear on a table of their own, included in this, allowing for better Diverity (and having helms w/ Gasmasks). 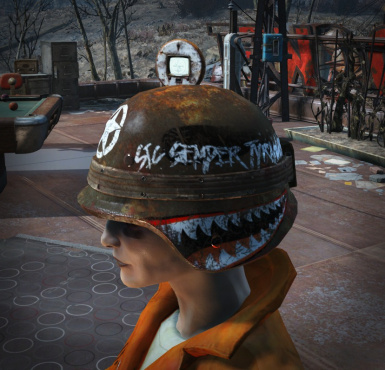 -Tweaked the "LLS_Armor_Raider_Headpart_Headwear", Putting the some additional helms back into the list, in their own table allowing for better Diverity (and having helms w/ Gasmasks). -Tweaked the "LL_Armor_Piecemeal_Helmets" increasing Diverity by making it "Helmet" only and adding feeder lists. -Added a bunch of Sub feeder lists to the above tables, creating more Diverity by allowing for combos opened up by Armorsmith and ArmorKeywords. 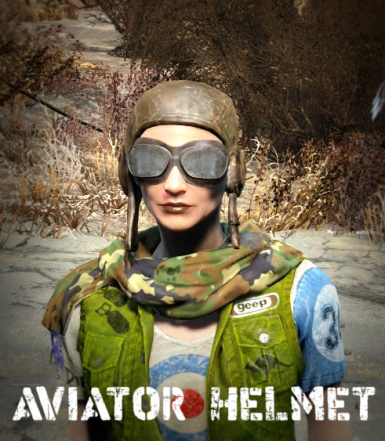 Raiders now spawn with Helmets and Gasmasks, Helmets or Gasmasks, Helmets and Facewear, Helmets and eyewear, Just eyewear, just gasmasks, etc. -Tweaked the RO-Boss outfit list, adding more Diverity. -Added one New Dreadnaught helm. -Added new "Named" (Nicknamed) Mini-Bosses. They are Legendary, tougher, but they have better gear and better loot. A number of items were moved from other tables to only drop on their tables. 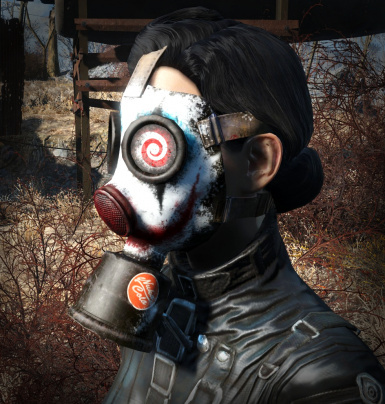 Crude Blowback by asXas | http://www.nexusmods.com/fallout4/mods/16657/? Handmade Revolver by asXas | http://www.nexusmods.com/fallout4/mods/18457/? 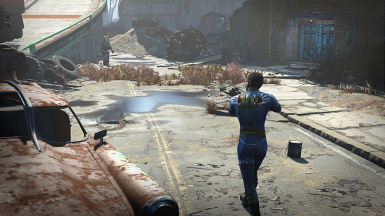 Concrete Sledgehammer by asXas | http://www.nexusmods.com/fallout4/mods/17335/? 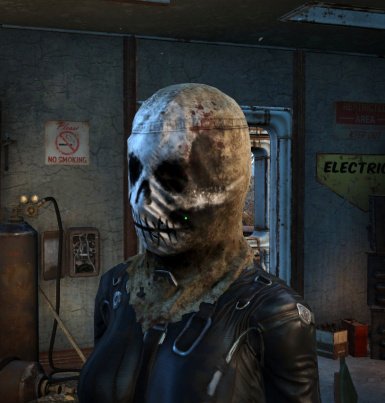 Murdering Chainsaw by TrickyVein | http://www.nexusmods.com/fallout4/mods/12102/? 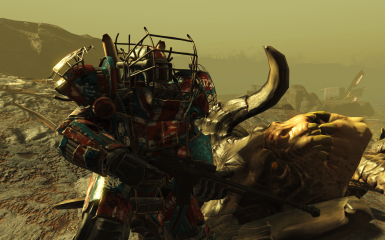 Slaughtering Buzz Axe by TrickyVein |http://www.nexusmods.com/fallout4/mods/11142/? The Pipe Shotgun by Elgoes and Henkspamadres | http://www.nexusmods.com/fallout4/mods/10826/? 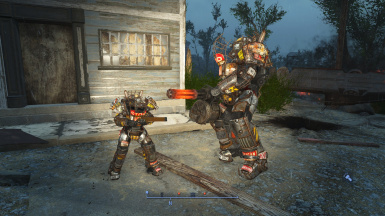 Hotfix and main file Removed unassigned leveled lists that had the minigun, deleted and re-added the list the minigun (not added to any NPC's) had touched in 11.2 just in case they were not displayed in FO4Edit but present. Removes the Added Heavy weapons from standard tables. Keep the feedback coming! 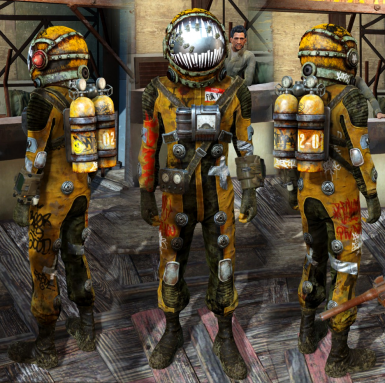 Some have reported the Hazmat Suit / Damaged Hazmat Suit Helmet will not display but will equip, not sure if this is Armorkeywords related. Same Applies to Anti-C helm. 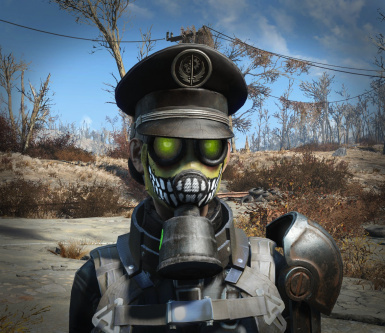 Additionally, some people have reported the helm not displaying period, it appears to be something with either the new FO4 or Armorkeywords. 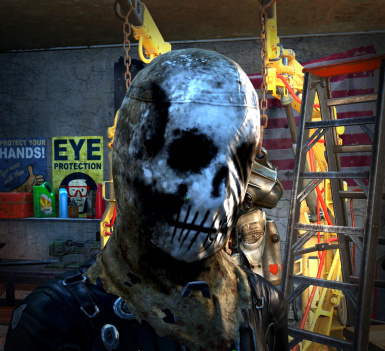 If you have this issue please download the Option Hazmat suit files (Anti-C helm is linked to Hazmat). Additionally putting on a "cap" will make the helmet vanish. 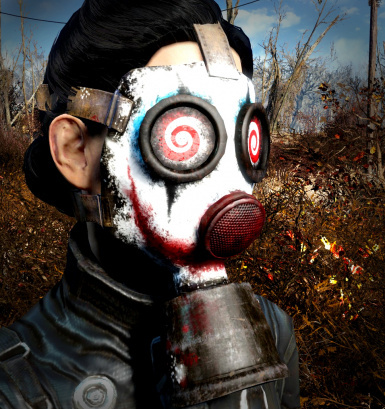 *Note this may conflict with Other PA mods, if you don’t see the paints it’s likely that. 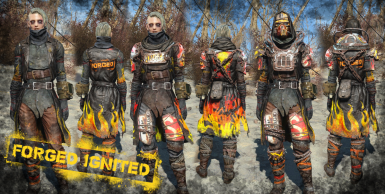 -Forged Helmets: Forged Magnate Armor Removed From the Helmets List (Thanks OshMmf), Items added, Welding Goggles moved to "Outfit"
-Dreadnaught Outfit: Complete and total rebuild, Armor lists are stand alone meaning no conflicts. 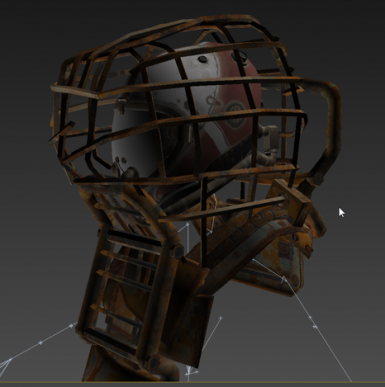 -Dreadnaught Headgear: Rebuild, adding a number of vanilla and RO helmets. -Corrected several small issues causing NPC's to spawn nameless and unlootable. -Red Tourette will now correctly use her special weapon. 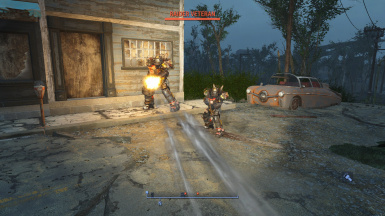 -Raider Schizo - Power Armor Frame Added with low chance for armor. Spawned 50 of them, three time... (150 total) got 6 in full PA, average was about 3 pieces, will adjust or remove with feedback. Photos Added to Gallery of one spawn cycle. Blood Sports Bat: Recreated as a Standalone Item, including "Instance Naming Rule", correcting it randomly spawning. Fairly large update, please READ THE Change Log & Sticky notes before installing. 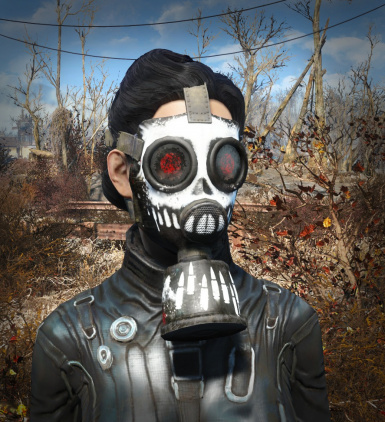 This is a Work In Progress mod that tries to add more style and diversity to the raiders of the Commonwealth. I mean, your going to be fighting them ALL THE TIME. 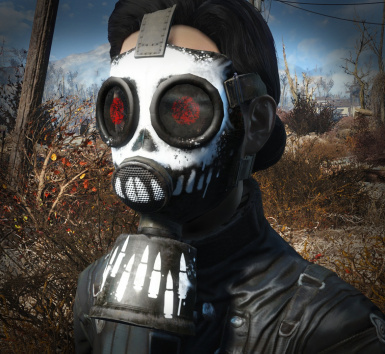 This mod adds various headwear and armor in the game that appear wilder, more savage, more "raider-esque". 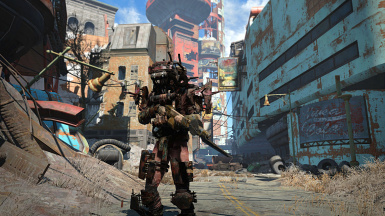 Also included are consumables, new power armor, dog gear and equipment modifications, designed to reflect the savagery and carelessness of the raider faction. 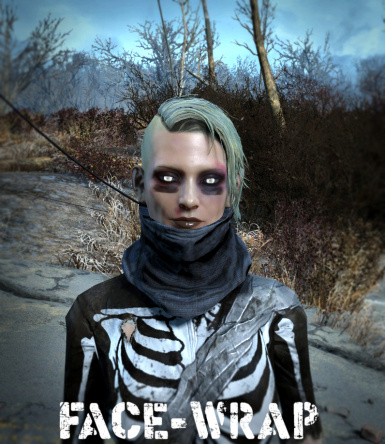 This mod requires the AWCKR mod, and nearly everything is CBBE compatable. Every piece included (except the raider mod armor retexture) is 100% standalone and no vanilla textures have been replaced in any way. 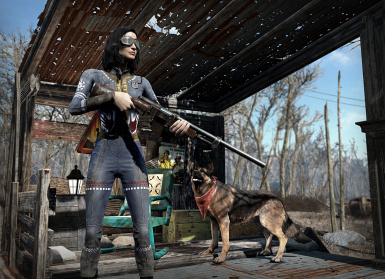 Raiders and their dogs in your game will randomly spawn with n new or armor. You may even meet a Raider Dreadnaught up close! KKTheBeast has made VIS patches for this mod. Armor and Weapons Keyword Community Resource is required to use this mod. 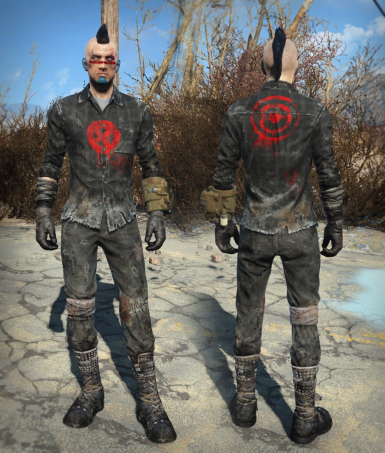 I have also included a download, Raider Armor Buff that adds a little defense to raider armor. 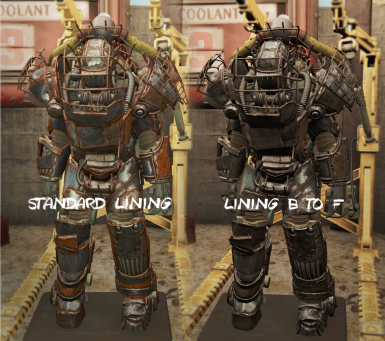 Dont forget there is now Better Armor Mod Descriptions support! Featured on Haoswidasee's Ultimate Fallout Mod Compilation! The Dreadnaught's armor is in. 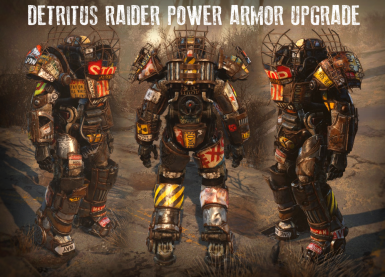 This (very) heavy Raider upgrade is one tier higher than buttressed armor. It sports impressive stats, on par with Heavy Combat Armor. The Dreadnaught set is layered in vibrant, contrasting colors to attract enemies, and bring WAR. You'll instantly know where to focus your attention, as will your enemies when your wearing this fortress of undiluted awesome! Completely compatible with all linings, renaming, and fully integrated into the game. With this set I've included a custom fitted Dreadnaught Helmet, as fearsome as it is defensive. 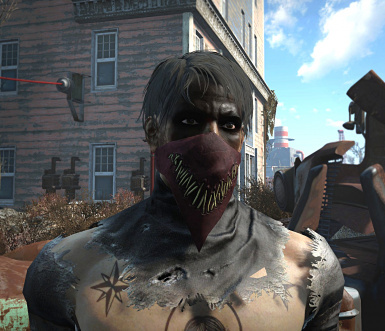 Also there's a new outfit to compliment the set, the Tar Walker Outfit, garb peeled from the oily hands of the infamous Tar Walkers from a secluded, ruined city called Filla Delphia. Each variant has slightly more defense and fire resistance than the previous. 3 of the outfits can be crafted in the AWKCR Armor Station, however the other 2 variants must be looted from the forged themselves. 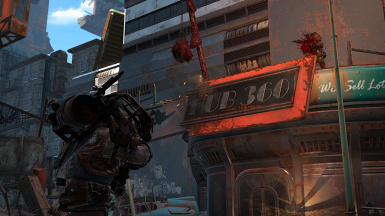 Furthermore, the forged will now spawn with crowbars and shiskebabs in addition to their flamers. IMPORTANT: This update doesnt make the forged OP in any way, however it does make them tougher. 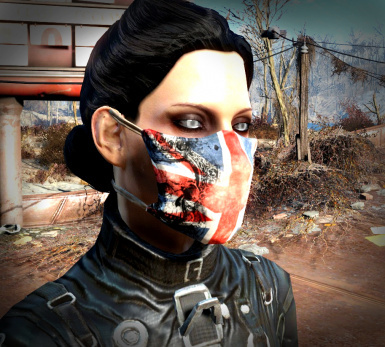 I highly suggest you take the time to outfit the settlers at the Slog. 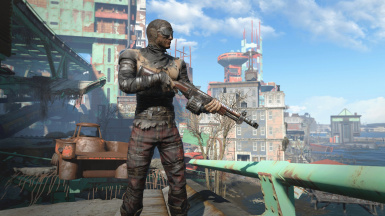 Giving your settlers better guns and armor will give them a much easier time against the tougher Forged. 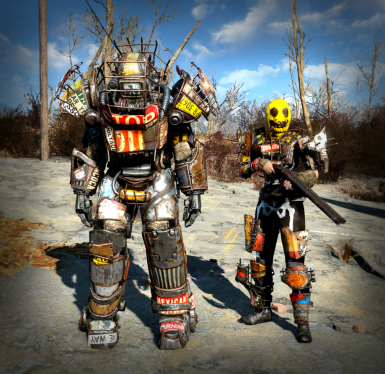 With this mod the Raider Power Armor has gotten a complete overhaul, every power armor mod, including jetpacks, 8 new paints, each with their own benefits, full leveled list integration, so it can be found throughout the Commonwealth. 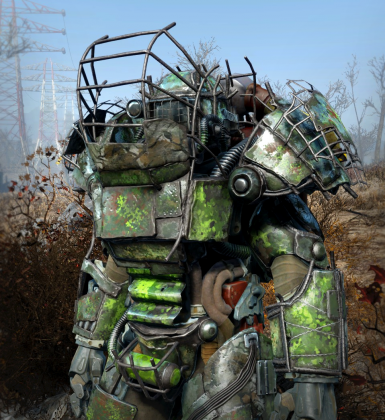 It still has less defense that other PA variants, but it has a great amount of health, and can be repaired with some steel and duct tape. 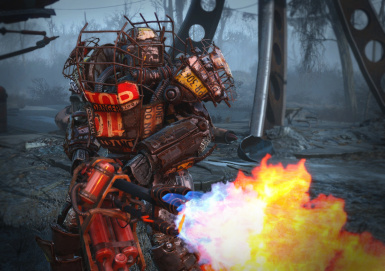 Expect raider bosses to battle in tricked out custom power armor rigs! 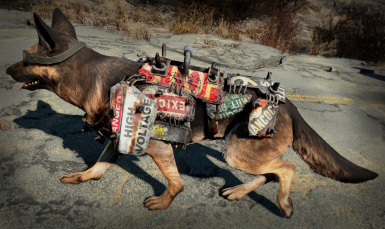 The Junkyard Dog Armor(s) come in light, medium and heavy variants, all of which are much heavier than vanilla dog armor, but offer far more protection, without breaking immersion. 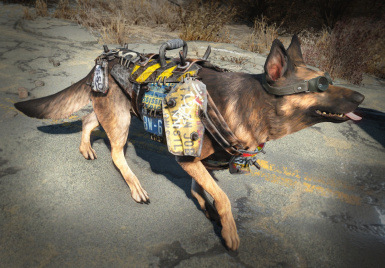 The armor will NOT make DogMeat invincible, but it will make him more resilient. I gave them some energy resistance since the majority of the armor is metal. IMPORTANT NOTE: this upgraded defense can make raider mongrels fairly tough, but they wont spawn with any armor at low levels and their damage output remains the same. 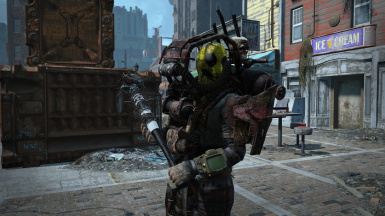 Just be prepared if you see a raider mongrel rushing at you with this armor on. Download Armor and Weapons Keyword Community Resource first. Then download with the NMM, or you can manually install, unzip and Copy into your Data folder. If your upgrading your version, please uninstall and delete any previous versions, then install and activate the current one. Thanks to Yogensya for allowing us to include his weapons; check this guy out, his mods are incredible! Thanks to TrickyVein for the Murdering Chainsaw and the Slaughtering Buzz Axe! Thanks to asXas for the Crude Blowback, the Handmade Revolver, and the Concrete Sledgehammer!! Thanks to Valdacil and Gambit77 for the awesome AWKCR mod, it really helps and makes everything a lot easier. Thanks to elr0y7 for continuing to help me create compatability patches, giving me tips and advice, and being an all-around cool cat. Huge shoutout to vasstek, who taught me how to do this, this dudes awesome. check out his NanoArmor! Thanks to kktheBeast for his Patches!